CENTRAL ISLIP, Long Island (WABC) -- A court document filed Wednesday on Long Island reveals other Suffolk County police officers were indicted in connection with the revenge beating for which their chief was convicted. Former police chief James Burke was convicted earlier this year of orchestrating a department cover-up after beating a handcuffed man for stealing embarrassing items from his SUV. He was sentenced to nearly four years in prison. But nothing was made public about any other officers facing charges in the case - until the defense filing Wednesday. The motion cites "numerous other members of Suffolk law enforcement were indicted by a federal grand jury for their participation" in the beating of Christopher Loeb. The charged officers' files have been sealed since they are cooperating with federal investigators in the ongoing investigation. The defense is asking the court to drop Loeb's conviction, citing false police testimony during his trial and other reasons. "By their conduct in this case, law enforcement knowingly trampled Loeb's constitutional rights to benefit themselves and their superiors; they committed crimes against him and the community they were sworn to defend; they defiled the system of justice and the proceedings before this Court by committing perjury to conceal their misconduct; and they thereby thwarted justice for the past four years, while Christopher Loeb sat in jail." Suffolk County police issued a statement following the news of the filing. 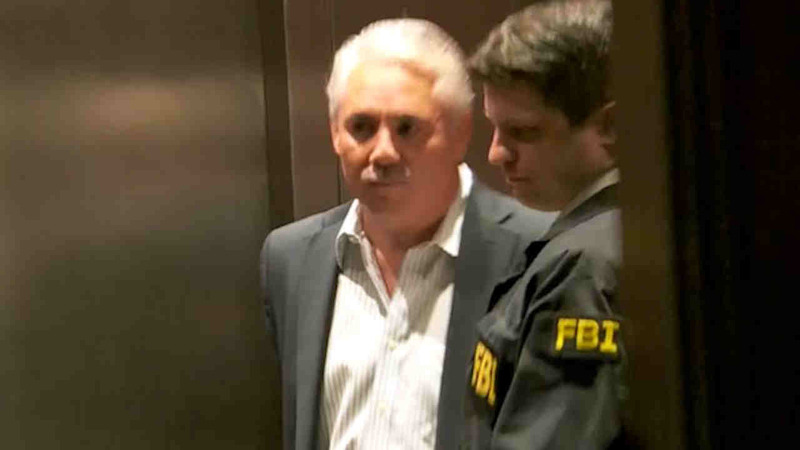 "No one currently employed by the Suffolk County Police Department has pled guilty to any crimes in connection with Christopher Loeb," Assistant Police Commissioner Justin Meyers said.